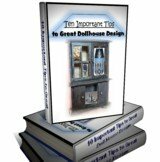 Plastic Canvas Doll House: Sought after because of its unique qualities. This particular Plastic Canvas Doll House has been around since 1992. It was copyrighted by at least one company, namely "Kooler Design Studio" under the publisher of AMERICAN SCHOOL OF NEEDLEWORK. The Plastic Canvas Doll House Creation. They did make quite a unique craft book. Of which when I happened upon it, I just had to write to the company and request where I could get my copy. 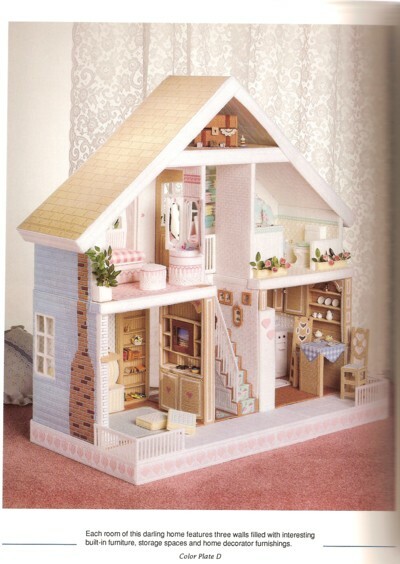 If you are like me in this instance and can not find a great plastic canvas dollhouse book you might be able to do the same. Contact the creators of whatever book you desire and request where you can get it from. 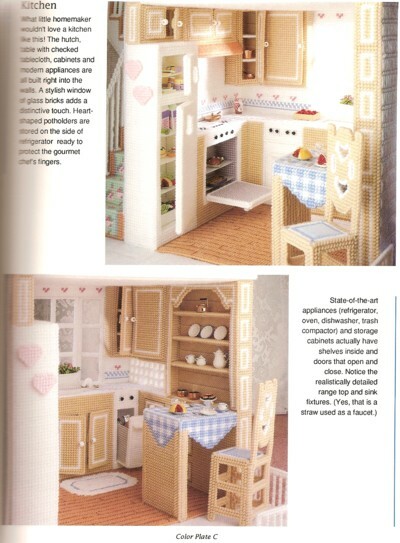 This is truly an awe inspiring craft book. Which when you venture inside the cover and beyond you will want to start all of it immediately. Especially if you are an excitable crafter. I know, personally books such as this one do start my mind racing. 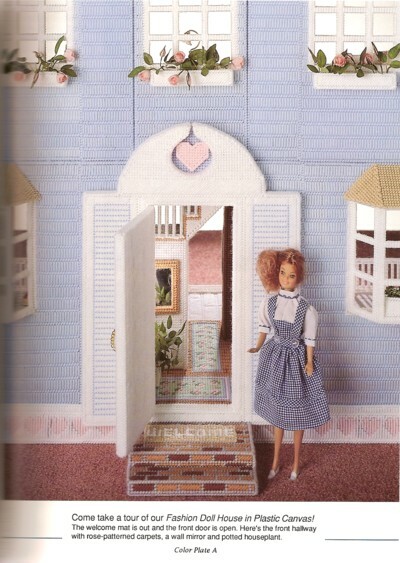 Special Note: This is the best plastic canvas doll house book around. You will possibly want to photocopy it in parts for the patterns and this way preserve your copy of this wonderful craft book. These pictures are simply scanned items. However they do let you see some of the artwork inside. Clicking on any of the pics will display a larger more detailed view. House Book is a Collector's Edition ! Meaning it can not be gotten anytime you wish. So if it is available at the moment and you happen to be interested jump on it. 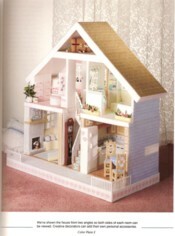 This is an excellent book to while away some happy dollhouse hobby moments with. Yes... and it's not quite certain who would have more fun. You or the child "maybe" that you make it for. Check the book out now for availability. Check out this information block for a word about the below Search Box... 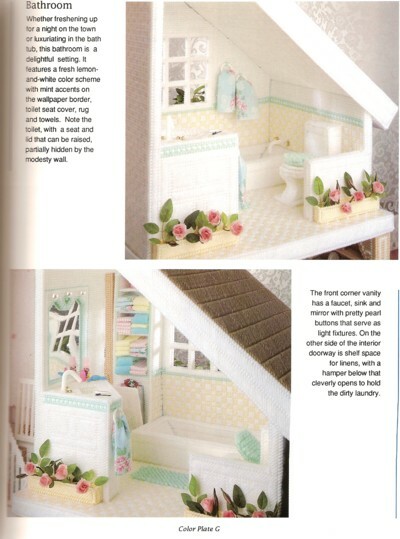 Replace the word in italics with Plastic Canvas Dollhouse where appropriate. 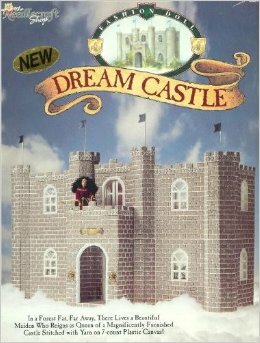 We have found the most unique and cute castle item here for your viewing. You will want to check it out. 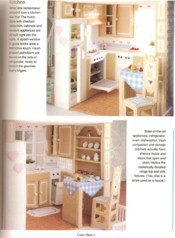 Get busy in creating this it could make the perfect Christmas gift. 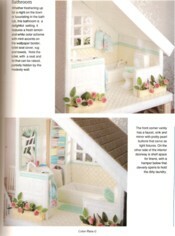 By the publisher The Needlecraft Shop it is made of plastic canvas, love, creativity and accomplishment. 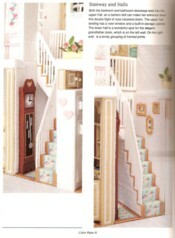 You and your child will love every moment.